I went for a little visit of five days [to Areley House, Worcestershire, in December 1873]. There were ten persons in the house, some unconverted and long prayed for, some converted but not rejoicing Christians. [God] gave me the prayer, "Lord, give me all this house." And He just did! Before I left the house, everyone had got a blessing. The last night of my visit. . . I was too happy to sleep and passed most of the night in praise and renewal of my own consecration, and these little couplets formed themselves and chimed in my heart, one after another, till they finished with "Ever, only, all, for Thee." Perhaps you will be interested to know the origin of the consecration hymn 'Take my life.' I went for a little visit of five days [to Areley House]. There were ten persons in the house, some unconverted and long prayed for, some converted, but not rejoicing Christians. He gave me the prayer 'Lord, give me all in this house!' And He just did! Before I left the house every one had got a blessing. The last night of my visit after I had retired, the governess asked me to go to the two daughters. They were crying, &c.; then and there both of them trusted and rejoiced; it was nearly midnight. I was too happy to sleep, and passed most of the night in praise and renewal of my own consecration; and these little couplets formed themselves, and chimed in my heart one after another till they finished with 'Ever, Only, ALL for Thee!'" “I went for a little visit of five days. There were ten persons in the house, some unconverted and long prayed for; some converted, but not rejoicing Christians. He gave me the prayer: ‘Lord, give me all in this house.’ And He just DID! Before I left the house everyone had got a blessing. The last night of my visit, after I had retired, the governess asked me to go to the two daughters. They were crying, etc. Then and there both of them trusted and rejoiced. It was nearly midnight. I was too happy to sleep, and passed most of the night in praise and renewal of my own consecration; and these little couplets formed themselves and chimed in my heart one after another till they finished with ‘ever, only, all for Thee’” (Lutheran Hymnal Handbook, 486). Critics have raved over Havergal’s text for almost two centuries. Hymn author Ira Sankey wrote that this was “one of the finest consecration hymns in the world” (Sankey, My Life in Hymns, 81). Albert Bailey wrote, “This hymn has had a career of great usefulness. It has frequently objectified for even young children what practical ways of serving Christ may be theirs in their every-day lives” (Bailey, The Gospel in Hymns, 405). Each verse offers a different part of ourselves for the purposes of God – our life, our hands, our voice, our money, our wills, and our love. Modern hymnals include a number of different arrangements of the text. For example, the Psalter Hymnal ends verse one with “Take my moments and my days; let them flow in endless praise” and begins the second verse with “Take my hands and let them move at the impulse of thy love.” The Worshiping Church uses the latter line to end the first verse, and doesn’t include the former line in any verse. Modern hymnals include anywhere from four to six verses. Originally Havergal’s text was set to the tune PATMOS which was composed by her father, William H. Havergal, in 1847. Frances was apparently quite adamant that this be the only tune her text was sung to, but this was not to be the case. Henri A. Cesar Malan composed the tune HENDON around 1827. It was taken over to North America by Lowell Mason where it quickly became the tune associated with this hymn, and is found in most modern hymnals. This is a gentle, quiet tune that doesn’t require much accompaniment. Use guitar picking or light piano with a flute or violin providing harmony lines, or a very light organ registration. On the third verse, which reads, “Take my voice and let me sing always, only for my King,” consider dropping out instrumentally so only the voices are heard. Chris Tomlin and Louie Giglio have altered the melody a bit and added a chorus that echoes the text of Isa. 6:8, which says, “’Whom shall I send? And who will go for us?’ And I said, ‘Here am I. Send me!’” Tomlin’s chorus reads, “Here am I, all of me, take my life, it’s all for thee.” In this version, keep the verses softer and grow on the chorus, which you can repeat multiple times, getting louder as you repeat. The strength and volume of the chorus makes this a perfect alternative to the original for a large praise band with drums and electric guitar. 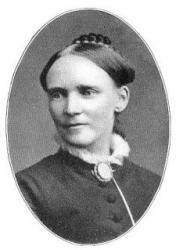 Frances Ridley Havergal was a Christian devotional writer, poetess, hymn writer and musician who was born December 14, 1836, into a cultured, religious family at Astley, Worcestershire, England. She was the youngest child of William Henry Havergal, a Church of England minister and noted poet and church musician who authored about 100 hymns. At the age of 3, Miss Havergal could read; at the age of 4, she began reading and memorizing the Bible; at 7 she began writing verse. When she was eleven, her mother died after a long period of suffering. Miss Havergal was converted and committed her life to Christ in 1851, at the age of 14. She said, "I committed my soul to the Saviour ... earth and heaven seemed brighter from that moment; I did trust the Lord Jesus." Educated at home and in private schools in Worcester, England, and in Dusseldorf, Germany (1852-53), her scholastic achievements included proficiency in several modern languages, in addition to Latin, Greek, and Hebrew. Miss Havergal had a thorough training in linguistics and music and was a pianist and singer. She was also a devoted Bible student, memorizing the New Testament as well as the Psalms, Isaiah, and the Minor Prophets. Although highly educated and cultured, she maintained a simple faith and confidence in her Lord. She lived a disciplined prayer life and it is said that she never wrote a line without first praying over it. "Writing is praying with me. You know a child would look up at every sentence and say, 'And what shall I say next?' That is just what I do; I ask Him that at every line He would give me not merely thoughts and power, but also every word, even the very rhymes." Quite early in life, her poems were published in "Good Words" and other religious periodicals. Her poems are permeated with the fragrance of her passionate love for Jesus. In 1870, her father died suddenly. and she sang nothing but sacred music of the love of God and His way of salvation. Her life's mission was to sing and work for Jesus. She had both a great taste for music and a good knowledge of harmony, a natural and inherited turn for melody, a ringing touch on the piano, a beautiful and well-trained voice. These gifts she now entirely devoted to Christ; whether at home or in mixed society she always "sang for Jesus." "Perhaps you will be interested to know the origin of the Consecration hymn 'Take my life.' I went for a little visit of five days [to Areley House]. There were ten persons in the house, some unconverted and long prayed for, some converted, but not rejoicing Christians. He gave me the prayer 'Lord, give me all in this house!' And He just did! Before I left the house every one had got a blessing. The last night of my visit after I had retired, the governess asked me to go to the two daughters. They were crying, &c; then and there both of them trusted and rejoiced; it was nearly midnight. I was too happy to sleep, and passed most of the night in praise and renewal of my own consecration; and these little couplets formed themselves, and chimed in my heart one after another till they finished with 'ever only, ALL FOR THEE!'" "The Lord has shown me another little step, and, of course, I have taken it with extreme delight. 'Take my silver and my gold' now means shipping off all my ornaments to the church Missionary House, including a jewel cabinet that is really fit for a countess, where all will be accepted and disposed of for me ... Nearly fifty articles are being packed up. I don't think I ever packed a box with such pleasure." "I Am Trusting Thee, Lord Jesus" (written 1874; said to be her favorite of all her hymns, a copy of the text was found in her personal Bible after her death). She wrote some of her own tunes for her hymns and her father wrote the music for others. Miss Havergal also wrote many small devotional tracts and narratives in prose and numerous little books of poems and hymn texts, all marked by the same earnest and practical piety. Themes for her writings were faith, consecration, and service. She looked up steadfastly, as if she saw the Lord; and surely nothing less heavenly could have reflected such a glorious radiance upon her face. For ten minutes we watched that almost visible meeting with her King, and her countenance was so glad, as if she were already talking to Him! Then she tried to sing; but after one sweet, high note her voice failed, and as her brother commended her soul into the Redeemer's hand she passed away. Frances Ridley Havergal died at Caswall Bay, Swansea, Wales, June 3, 1879, at the age of forty-two. She never married. On her tombstone at Astley, Worcestershire, is engraved her favorite text, 1 John 1:7-- "The blood of Jesus Christ His Son cleanseth us from all sin." Her entire life was characterized by spiritual saintliness. In spite of being frail in health, she lived an active and productive life until her death. She has been referred to as "hymnody's sweetest voice," "the sweetest voice of hymnody," and "the consecration poet." Her autobiography was published in Memorials of Frances Ridley Havergal, by her Sister, M. V. G. Havergal, 2nd edition, 1880. Another memorial by her sister was Frances Ridley Havergal: the Last Week, . My King, or Daily Thoughts for the King's Children. [1876?]. Royal Commandments, or Morning Thoughts for the King's Servants. . Kept for the Master's Use. . Loyal Responses, or Daily Melodies for the King's Minstrels. 1879. Red Letter Days: a Memorial and Birthday Book. . Echoes from the Word for the Christian Year... 1880. Royal Bounty, or Evening Thoughts for the King's Guests. 1880. The Royal Invitation, or Daily Thoughts of Coming to Christ. 1882. The Ministry of Song. 3rd ed. 1872. Under the Surface, or Our Work and Our Blessings. 1874. Under His Shadow: the Last Poems of Frances Ridley Havergal. 1881. The Four Happy Days. 1876. Morning Bells, or Waking Thoughts for the Little Ones. 1876. Morning Stars, or Names of Christ for His Little Ones. 1879. Little Pillows, or Goodnight Thoughts for the Little Ones. 1880. 101 Hymn Stories by Kenneth W. Osbeck. Grand Rapids, Michigan: Kregel Publications, ©1982. 101 More Hymn Stories by Kenneth W. Osbeck. Grand Rapids, Michigan: Kregel Publications, ©1985. Wycliffe Biographical Dictionary of the Church by Elgin Moyer. Revised and enlarged by Earle E. Cairns. Chicago: Moody Press, ©1982. A Dictionary of Women in Church History by Mary L. Hammack. Chicago: Moody Press, 1984. A Dictionary of Hymnology... New York: Charles Scribner's, 1892. Dictionary of National Biography, Vol. XXV. London: Smith, Elder, & Co., 1891.